XL. 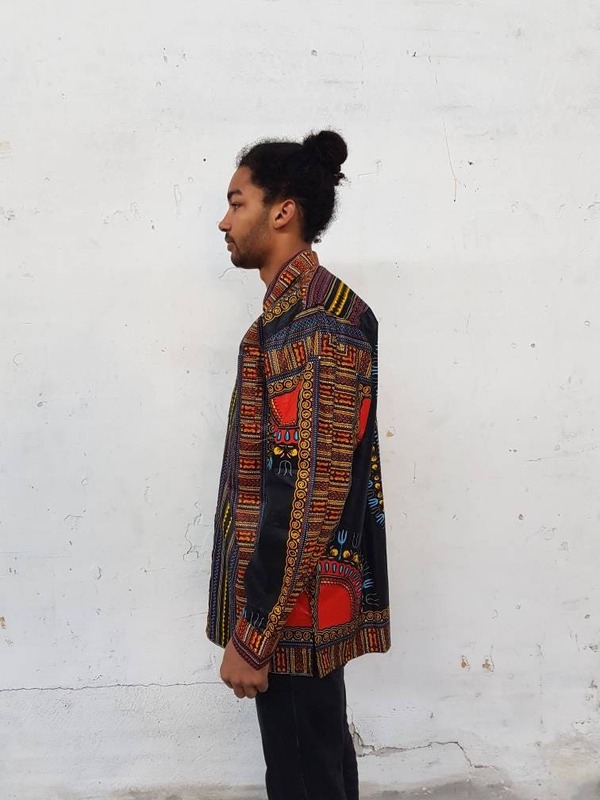 Dress shirt african print. Long sleeves. Very elegant urban style. Wax fabric. 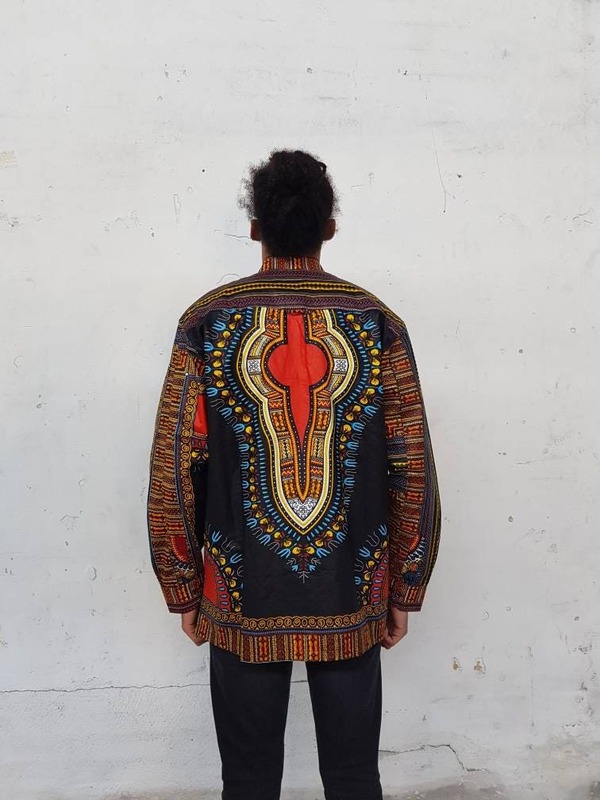 Dashiki. Cotton. Handmade in Ghana. 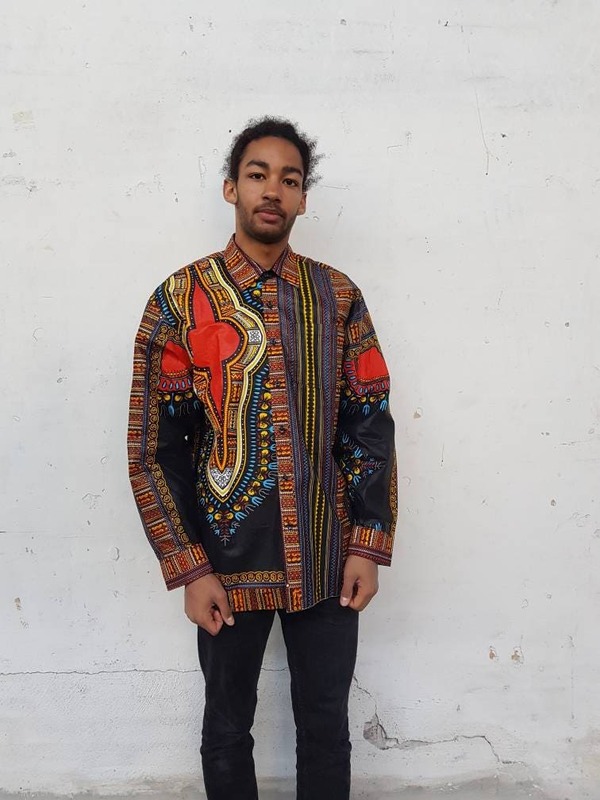 Beautiful colours long sleeves dashiki shirt. The placement of the pattern may be different on each shirt. But all are top quality fabric and design. 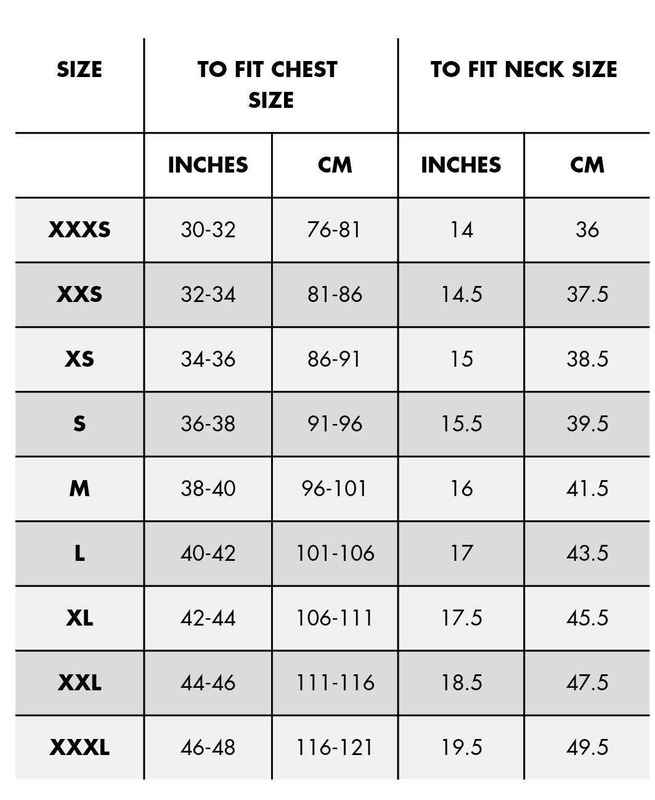 Made by an experienced tailor.